As the kings of restaurant supply, we pride ourselves in having the widest selection of reusable bowls for restaurants and hotels. We stock many different paper bowls, plastic bowls and melamine bowls for whatever your food service need may be. Caterers buy their display Bowls from us for weddings and events. Hotels serve their complimentary breakfasts in bowls from us. Churches buy their banquet bowls from us for serving ice cream at their summer picnics. 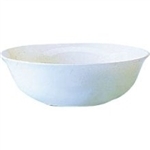 Restaurant Bowl White Multi Usage - 15 Oz.. Restaurant Stacking Bowl White - 10.5 Oz..
Stack Bowl - 2.75 Oz. 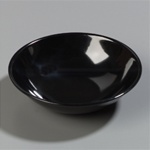 Tabletop Dining Room Bowls at wholesale prices is what we offer. No more shopping around for reusable restaurant supplies. You have found the food service leader for plastic and melamine bowls.